SOFT WASHING IS THE RECOMMENDED METHOD TO CLEAN THAT UGLY ALGEA, MOLD AND LICHEN OFF OF YOUR SHINGLES. 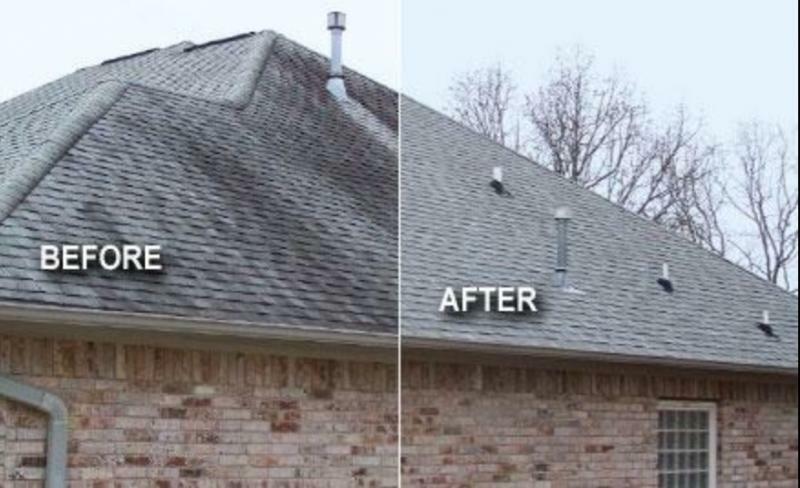 NO PRESSURE WASHING THAT CAN DAMAGE THE ROOF. 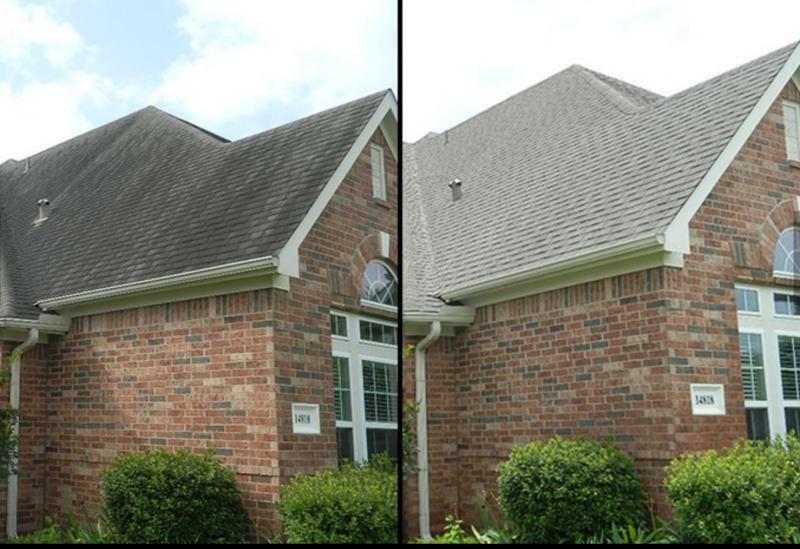 WE USE THE RIGHT MIX OF SOLUTION WITH THE RIGHT CARE TO PROTECT YOUR LANDSCAPE TO INSURE THAT WHEN WE LEAVE, YOU SEE A CLEANER AND BRIGHTER ROOF. AND AS TIME, AND RAIN GOES BY, THE DEAD DANGERS JUST WASH AWAY. BUYING, SELLING OR JUST SPRUCING UP YOUR HOME IS AS EASY AS MAKING A CALL. FOR A FEW HUNDRED $$ YOU CAN HAVE A WHOLE NEW LOOK. PRICES RANGE FROM .16-.20 CENTS PER SQUARE FOOT OF ROOF COVERAGE ($400 MINIMUM) . IN MOST CASES WE CAN GIVE YOU AN APPROXIMATE COST WITH JUST A PICTURE OF YOUR ROOF AND AN ABOUT SQUARE FOOTAGE OF THE COVERED AREA.